You will come across a number of attractive options for betting money on roulette matches when online. Here are a few of the more popular roulette betting systems that you can use right now. These all work with their own standards for playing and should be checked carefully so you can get the most out of your experience at the roulette table. The Martingale option is the first choice to look into. This is where you double your bet after a loss. This works in that you will bet twice as much as what you originally bet on a loss and will keep doing this until you win. This is often done to reduce the total losses that you have at a game. You should still watch for how deep those losses can be though. 2. What Is the Grand Martingale? The Grand Martingale system is a little different. In this, you triple the value of your bet after a loss. That is, when you lose on a 10-unit bet, your next bet goes to 30 units. Take a row of numbers with the same end number. This could entail 10, 20, 30, 40 and 50 used together. Add the first and last numbers together. In this example it would be 60 off of 10 and 50. This is the number of units you will bet at a given time. When you win a bet, eliminate the highest number. This would require you to bet less money on the next bet. You would go for 50 units on your bet as you add 10 and 40. If you lose, add a number to continue the pattern and play from there. In this case, you will use 70 units on your next bet from adding 10 and 60. The D’Alembert setup is the third to see. This is used as an equilibrium bet as you will feel that when a certain number comes up that it will not be as likely to appear again. It is with the belief that everything evens out on a table. In reality, this might not work as there is always the chance that the bet will be incorrect. The Fibonacci plan is where you add a number in the Fibonacci sequence. You can get 3 units and then move up to 5 if you lose. You can then go to 8 if you lose again and then to 13, 21, 34 and so forth. You can go back by a number in the sequence if you have a winning bet. Another of the top roulette betting systems is the Paroli. You will increase the value of your bet as you win. This is the opposite of many choices you have seen so far as this focuses on you getting a larger bet when you win instead of when you lose. If you win on a 10-unit bet, you can place 20 units on the next and then 40 units if you win that second bet and so forth. Always bet a certain total on the first bet. Use that same total on the next bet if you lose. You should also reduce your total by one unit in terms of deciding your betting plan. When you win, increase your gaming total by one unit. As you get to a positive number of units, you can start to double your bets. This works as you will bet more when you have more momentum in your bets. After losing while you have more units, reduce that total number of units by one. Reduce the value of your bet if necessary too. This plan is often used to help you enjoy the most out of a bet. It can give you an entertaining way to make money and should be used properly for the best results. Sometimes it helps to bet on various numbers at a time based on particular totals. With this, you can place one bet on a six-number layout and four other straight up bets. This is done to give you a chance to get a big payout running. This could give you a good shot at a special payout and can be rather attractive but you should at least space everything out. When you get the four straight up bets and one six-number layout bet going, you will have ten numbers to work with. This can be useful for when you’re looking to get a great payout. A chaos strategy is where you will bet at random on different spins. You can use this to even out the total values of the bets you are placing. This could be interesting as you keep the betting appealing but this could also work improperly if you are not cautious. You have to plan out how you will even out those bets throughout a gaming session. Of course, this might also entail you throwing chips onto a table at random. While it is true that there is no real way how you can predict where the ball will land, you should still look carefully at how you are spreading out the bets and that you can cover more options just to hedge the risk involved with a spin. The excitement that comes with all of these choices for playing at a roulette table are worth looking into. 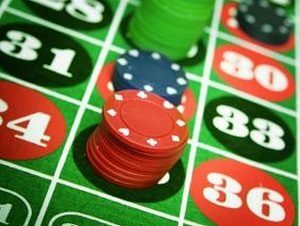 All of these roulette betting system options are varied based on how you will handle your funds and what may occur when trying to establish a good bet. Good luck with using one of these systems at your next gaming session.